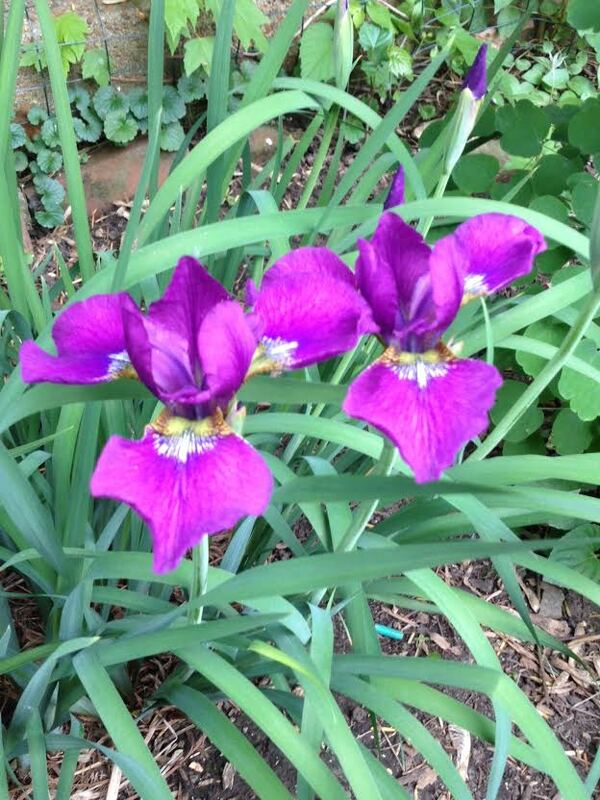 This is a violet colored wild iris that also grows in the back bed next to the yellow one from yesterday’s post. It’s called “Blue Flag” but isn’t really blue at all. Still another wild variety that we are considering moving to a sunnier location (near water). More about the water in a later post. By now you are probably tired of looking at my irises, right? Well, I actually only have one more to show you and that will end my Spring Season of photos. See you tomorrow.